Are you ready to vote line by line, friend? A two-page brochure from the Michigan Secretary of State's office provides a ton of facts about the voting process in an easy-to-use format. 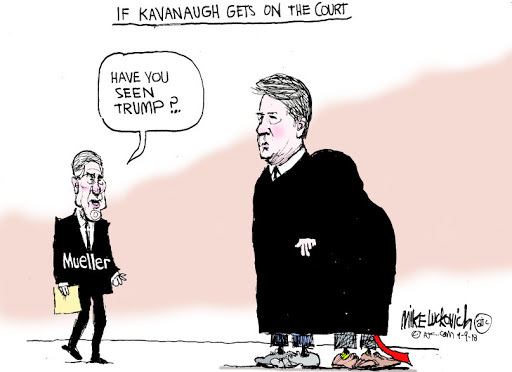 Given Brett Kavanaugh’s ultra-right wing record on LGBT rights, women’s rights, civil rights, immigrant rights and the environment, he will set back progress 100 years. It’s crucial, therefore, to implore the two Republican women Senators who claim they are pro-choice to vote against him. In particular, Susan Collins has gone on record as saying Kavanaugh would not upset Roe v. Wade (though the Senate Judiciary Committee has unearthed evidence to the contrary.) A crowdpac website called "Sen. Collins, Be a Hero," is raising money against her future campaign, to be used only if she votes for Kavanaugh’s confirmation. Please call Collins’ office and mention that fund. (You don’t necessarily have to donate to it yourself.) For more information on this website, click here. Click here for list and script . Join friends, old and new, to talk to voters about issues they care about and ask them to commit to vote for Democrats on November 6. Success in the election depends on you getting involved. To find numerous planned activities, places and times, and to sign up, click here . Voter Registration at the "Y"
The League of Women Voters and the Ann Arbor YMCA are cooperating to "Get Our Community Registered to Vote." Ann Arbor YMCA, 400 W. Washington St, Ann Arbor. Time is short!! Volunteer NOW to register students to vote!! After you make sure that you and your loved ones are registered to vote at y our county, city or township clerk's office, we need to help register students to VOTE! NextGen America is working on campuses throughout the United States to help register students to vote. Volunteers are needed to staff their voter registration tables. If you are interested in volunteering for 2-hour shifts on either the University of Michigan or Eastern Michigan University campus, contact Hudson Villeneuve at Hudson.Villeneuve@nextgenamerica.org or call/text him at (810) 516-6314. Hudson will work with you to find a time and location at U-M, and/or will put you in touch with the NextGen leadership person at EMU. Click here to apply . 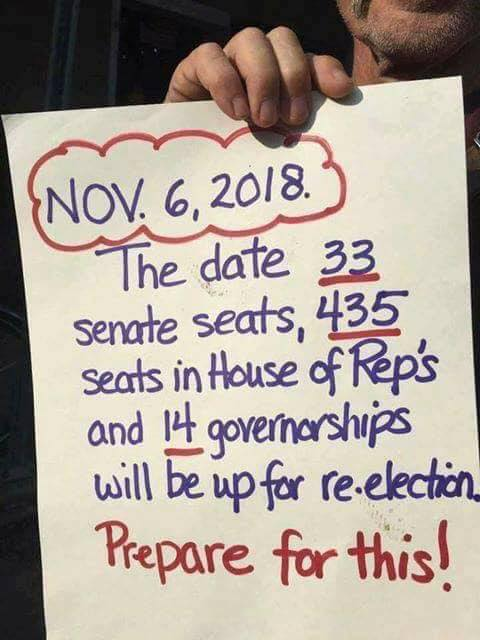 For more information on the positions or the canvassing, reach out to Jennifer Alberts at jennifer.alberts@nextgenamerica.org or at (734) 560-8172 . 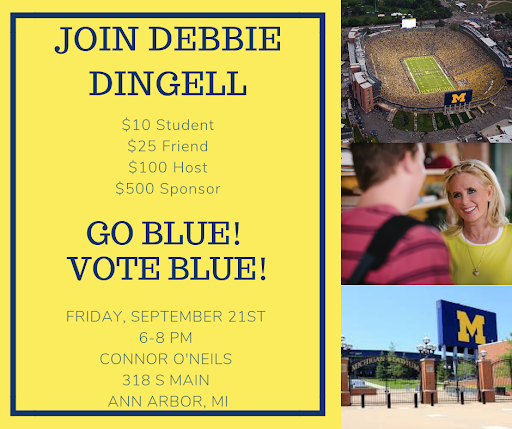 Along with my husband and an activist friend, I volunteered with NextGen America to register students to vote during move-in week on the University of Michigan campus. The shifts are divided into 2-hour blocks, which begin with a short training. Wearing U of M shirts as our “uniform,” and with clipboards in hand, we ventured out to find spots which we anticipated would be high traffic areas. I stood at the corner of State and N. University, making eye contact with as many people as I could, and asking them if they were registered to vote. If “yes,” I encouraged them to be sure to remember to vote. If “no,” it took about 3 minutes to register the new voter. If they were registered out of state, I offered them the opportunity to register in Michigan, and/or encouraged them to check the procedure for voting absentee in their home state. It was important work ... and we received many words of gratitude for our efforts! Join the many volunteers like Bette who are making a difference in this election by engaging in one of these activities listed in the PEG Newsletter! The PEG event calendar is provided as a community service to its readers, and is based on information provided by the event sponsors. Inclusion of material does not imply endorsement by PEG. Come learn how to canvass! September 19: Ballot Initiatives (VNP, Marijuana, Promote the Vote). 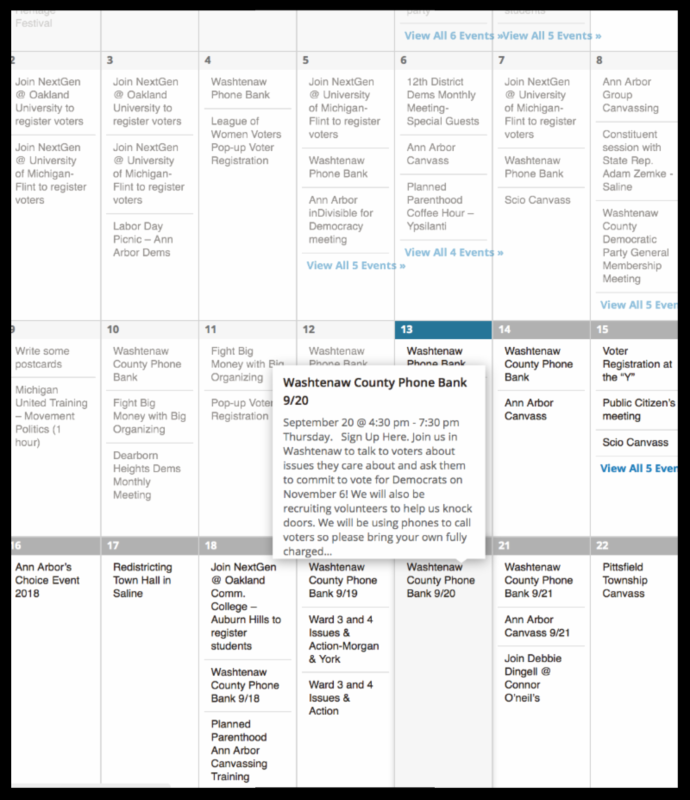 Be sure to check out the PEG Calendar on our website for a comprehensive list of activists events happening in September and October in the 12th Congressional District. As we lead-up to the mid-term elections, our political engagement and commitment to activism is more important than ever. There are many wonderful Michiganders committed to creating positive change, sometimes against daunting odds. Activists featured here have spent significant amounts of time “in the trenches,” have inspiring stories of progressive achievements with their groups, and they are working day-by-day to make important differences in the socio-political landscape of our state and country — just as you can, too! Check out the new special section, Portraits of Progressive Activists, under the Highlights tab on the PEG website at http://equalityingov.org/highlights/portraits-of-activists for the most recent interviews! This week's highlight features one of our most engaged activists in Michigan, Laura DePalma. Michigan Governor Rick Snyder bans felony box on job applications. 430 LGBTQ candidates have run for office this year at every level of government. Of the current 529 members of Congress, at least 65 are immigrants or children of immigrants. Tufts sponsored a Voting Rights Institute where college students learned how to counter gerrymandering by using math skills. 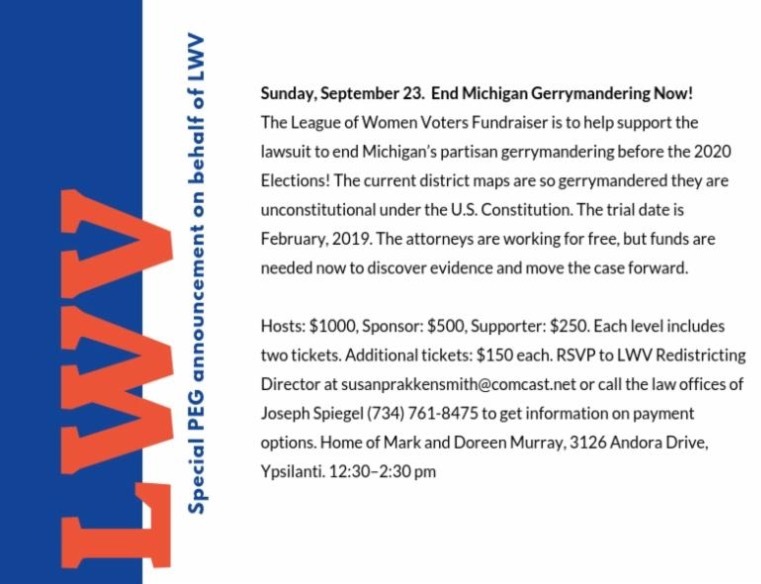 The Ann Arbor League of Women Voters http://lwvannarbor.org/ has links to nonpartisan information about candidates and issues. The Michigan Voter Information Center will provide you complete information on your own voter registration including where to vote, sample ballots, tracking the status of an absentee ballot, and more. Just go to https://vote.michigan.gov/MVIC/. www.vote.org enables a user to register, check registration, obtain an absentee ballot, find her polling place, and sign up for reminders. Click here for Bridge magazine’s guide to state elections, including fact-driven, data-driven, nonpartisan 2018 issues. We believe that there is a limit to what we can accomplish trying to get many of our elected officials to reflect our values of equality and acceptance. Consequently, we are focusing on events and actions that will lead to replacing those elected officials. This newsletter contains many suggestions to contact your congresspeople. Find their contact information here . To subscribe to this free newsletter go to our website by clicking here . To share with your friends and networks, use the sharing buttons at the top of the newsletter or just "forward" from your email! ﻿ Looking for more information? Check out the equalityingov.org webpage. Find out everything you want to know about who we are; the issues and organizations we endorse; an events calendar; and past issues of our newsletter and Facebook postings. It’s all there on the Web! Click here to see us on Facebook and our frequent posts . Thanks to Newsletter contributors: Bernie Banet, Carolyn Christopher, Ellen Halter, Laurie Williams, Jen Hoffman, Bette Cotzin, Leslie McGraw, Richard Gaeth, Constance Cook, Susan Ayer and Chuck Newman for their help preparing this newsletter. Write us at info@equalityingov.org if you would like help create our weekly newsletter. It’s fun and no ongoing commitment is required.